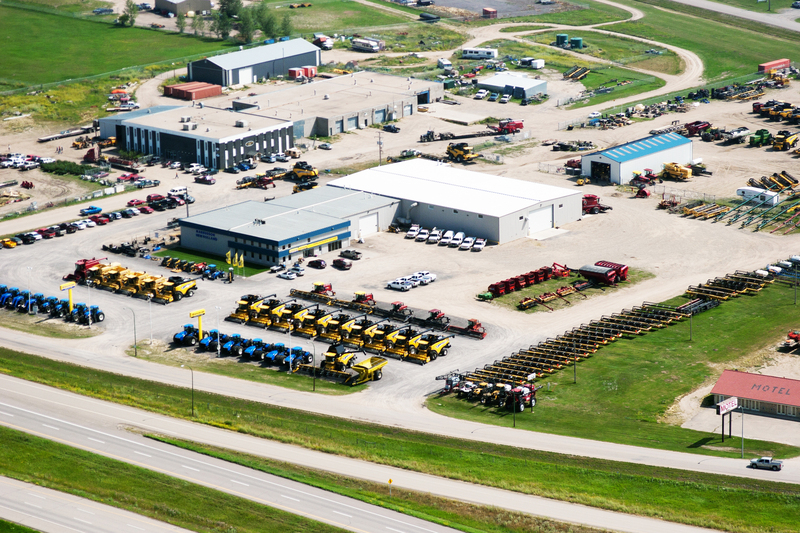 The Mazergroup Regina family has a history of being involved with Agriculture in Saskatchewan. Mazergroup Regina's president, Hartley Markusson's grandfathers were early pioneers in the Foam Lake area. They arrived in the late 1800's and the Mazergroup Regina family homestead is still being farmed by their decendants, Sheldon and Tyler Markusson. Today, Mazergroup Regina is still a family owned and operated business, with Hartley and Lorraine's sons, Cory and Derrick, both of which became partners in 2001. They continue to follow their founder's philosophy of fair, honest dealings, and superior after the sale support to their customers. You can count on Mazergroup Regina and their exceptional staff for anything New Holland produces, and the many other brands of products they carry. They continue to grow and exceed their customers expectations in Agriculture, and also Consumer and Construction equipment.